God is doing far more than we can see in our pain. We plead for God’s deliverance from our pain and wonder why he keeps letting it go on. We are not alone. A cloud of witnesses surrounds us and they help us understand. 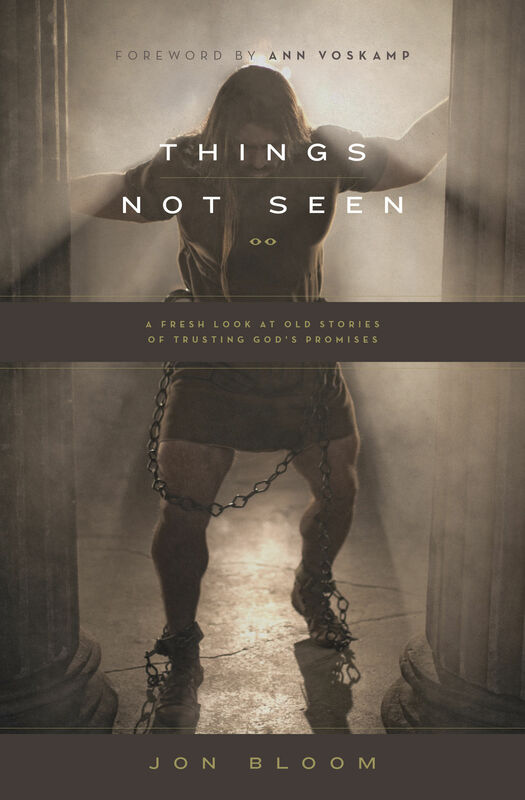 In these 35 creative retellings of Bible stories, Jon Bloom explores the hope and joy that Abraham, Moses, Naomi, John the Baptist, and others experienced in the painful process of discovering that God’s promises really are more trustworthy than our perceptions. Jon Bloom (BA, Bethel University) is the cofounder and president of desiringGod.org, where he contributes regularly. He is also the author of several books. Bloom and his wife, Pam, live in Minneapolis with their five children. “Bloom shows you with powerful clarity how to weave gospel-priorities through all your work and all your moments."